A Christmas Door Wreath...Perfect for your Holiday Home Decor! 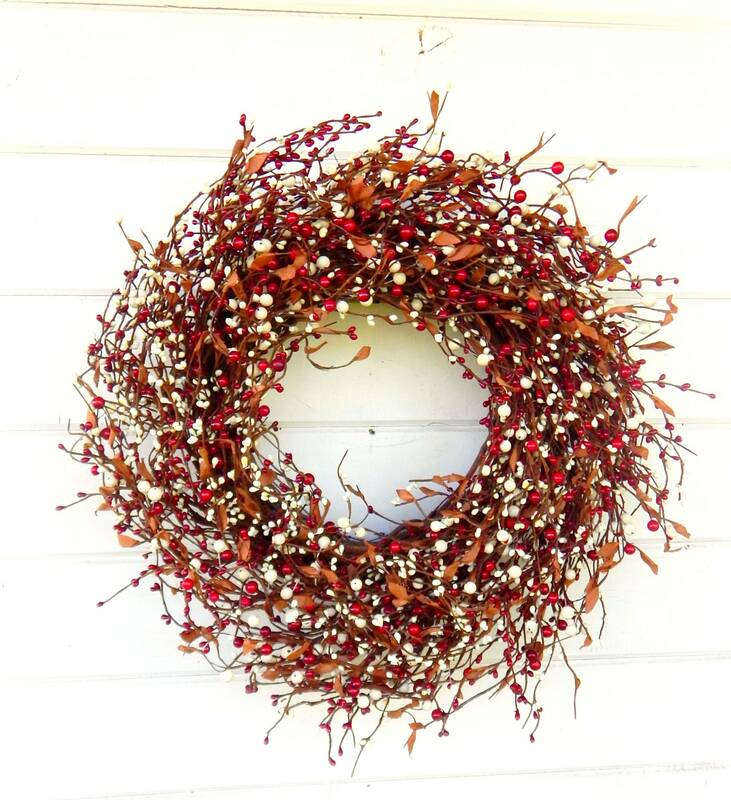 A Scented RED & CREAM Berry Wreath Great for any Season! 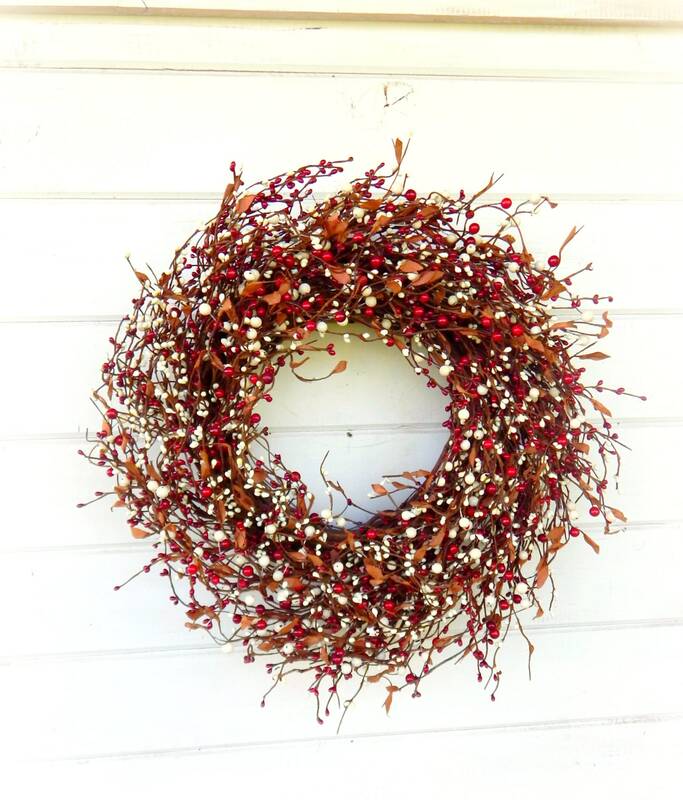 This Wreath is Perfect for your Home Decor, a Wedding or Gift!...Filled with Artificial Red and Cream Berries and Brown Leaves.